Marble is a type of limestone that forms after being exposed to excessive pressure over a long period of time. It is a beautiful and sophisticated stone that is both moisture-resistant and highly durable, making it the perfect material to enhance flooring and countertops. 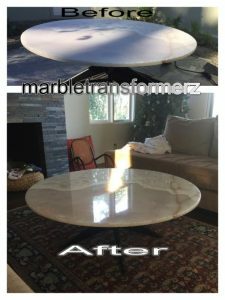 If you have small children or frequently entertain and have a lot of foot traffic in your home, marble is a fantastic choice that will impress anyone who enters your home. Marble and other natural stones can become damaged over time, and it’s important to contact a stone restoration company the moment you notice a chip, crack, or stain in your natural stone flooring or countertops. Our staff members are professionally trained to handle anything from granite crack repairs to epoxy flooring. We use a variety of techniques that will help your natural stone surface look like it did the day it was installed. Any other issues you may have! Contact our Top-Rated Local® restoration company today for a free estimate and find out why we are one of the most respected companies In Southern California!